Tecno launched two new smartphones in its Camon series early in April, and while we were expecting upgrades from last year's Camon devices in terms of camera, I'm not sure many were quite prepared for what Tecno came with; 24MP lens on a smartphone's camera. Say hi to the Tecno Camon X Pro. Tecno launched its first smartphone of 2018, the Tecno Camon CM early in January, but it was apparent that it wasn't the flagship Camon device of the year as last year's Camon CX came with better specs. We speculated that it was a fore-runner sent to proclaim the bezel-less gospel, and were proven right when Tecno Mobile announced two more phones in the Camon series early in April. The Tecno Camon X Pro is the higher variant of these and was announced alongside the Tecno Camon X, a device that shares its outward looks and many of its internal specs, but lags behind a bit in the camera and memory departments. Full HD+ (1,080 * 2,160) Pixel Resolution. The Tecno Camon X Pro might seem large with a 6-inch display, but its 18:9 aspect ratio with slim bezels means it's actually as comfortable to hold and use as a 5.5-inch device with the regular (16:9) aspect ratio. The smartphone is not made of metal, but it's designed to look like it is from afar. Its frames are made of metal, though, and its antenna lines are made to give it a look close to premium. The Camon X Pro comes with a speaker and micro-USB port underneath, a fingerprint sensor on the rear with the camera and LED flash and a micro-USB port on top. 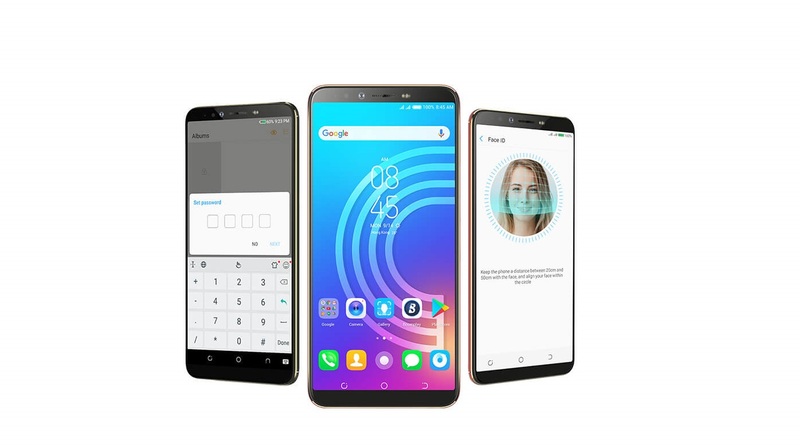 Multi-tasking is not an issue with the Camon X Pro, as its 4GB of RAM allows you to keep many apps in memory at the same time, and switch between them easily. With 64GB of storage available by default, you can store a lot of multimedia files. And if that's not enough, you can add 128GB of storage with an external microSD card. The Tecno Camon X Pro is powered by a MediaTek Helio P23 processor that can operate at 2GHz at full speed, sufficient enough for all kinds of operations on a smartphone. 24MP Front Camera with Dual-LED Flash. 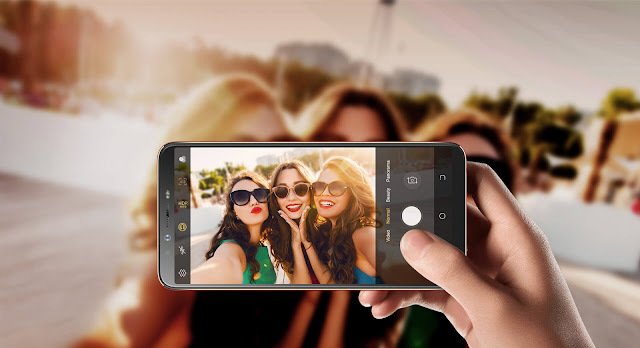 16MP Rear Camera with Quad-LED (Ring) Flash. Remember when the Camon C9 was launched and everyone couldn't stop talking about how good its cameras were? Well, those were 13MP lens and last year's Camon CX was even better, so imagine how this new breed of Camon smartphones is on the photography front. The Tecno Camon X Pro captures superb selfies with its 24MP front camera, and you can even take selfies with bokeh effect. Your night shots won't be taking in a lot of noise, as you're covered with dual-LED flash on the front and quad-LED ring flash on the rear. Talking about the rear, the Camon CX Pro sports a 16MP camera on the rear with support for 4X zoom. 3,750mAh battery with fast charging. The Tecno Camon X Pro packs a 3,750mAh battery that can give you a full day of average use, and in case it runs down while you're using it heavily during the course of the day, you can quickly charge it back to 100% with its fast charging feature. The smartphone has full support for 4G LTE and runs on the latest version of the Android operating system, Android 8.1 Oreo with Tecno's HiOS version 3.0 layered on top. Still on software, the Camon X Pro comes with FaceID which allows you to unlock the smartphone using your facial details. 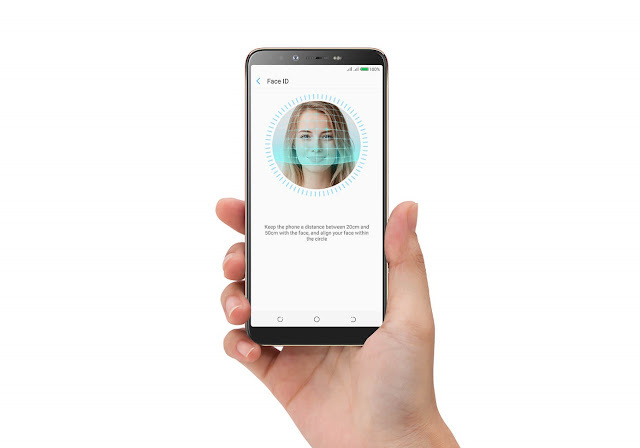 Since this uses just the front camera, it shouldn't be relied upon as a trusted form of security, and it's better to stick to the rear-facing fingerprint scanner for securing the smartphone. As at the time of publishing this post, only the Tecno Camon X is available in offline retail and online stores in Nigeria. This article will be updated once the Camon X Pro becomes available with the relevant price and purchase details.